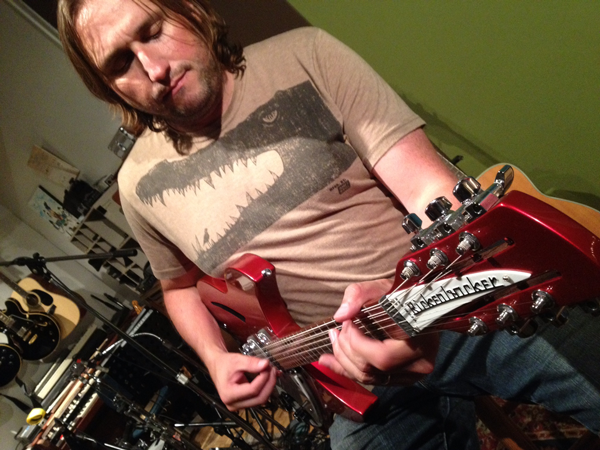 Brian Charles: Emulator Strings, Slide Guitar, Tamb. The week leading up to a recording club gathering always consists of me doing lots of research. Some of this research consists of searching out old magazine interviews, watching documentaries, and of course lots and lots of critical listening. Because of my busy studio schedule, I end up doing most of this research at home and also in the car (listening) on my ride to and from the studio. As a result of this, my wife and son also get an “education”. I’m lucky that my wife had a huge Smiths phase in college (she loves them). I’m also lucky that my son likes to do Morrissey impressi ons, while changing the lyrics to include our dog Henry in the subject matter (he’s definitely my kid). This time, I spent the week leading up to our “Smiths” recording on vacation in Wellfleet, Ma (Cape Cod) with my wife and son. Wellfleet has some really beautiful beaches, with dunes that make you feel like you are on the edge of the earth. I will tell you that listening to The Smiths in headphones while sitting on the edge o f the earth is an incredible experience. Morrissey has a knack for writing fatalistic lyrics with a silver lining of romanticism. “If a double decker bus crashes into us…to die by your side is such a heavenly way to die”. Listening to lyrics like this while looking out on the ocean reminded me of that feeling you get in 9th grade English class when you first discover existentialism…it’s bigger than life. 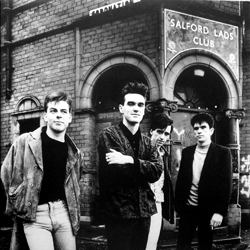 You might wonder why I’m writing about this in my “technical” blog when usually by now, I’d be telling you about achieving the sounds and stuff like that and my point with all of this is that achieving the sound of The Smiths has much to do with creating a specific mood. The Smiths aren’t the kind of band that you call up on the iPod without considering if you are in the righ t space to experience them at that moment. It’s difficult to listen “casually” to The Smiths. I had faith that Aaron would write a song that would encompass this criteria and he certainly delivered. One thing that I recognized as a challenge (for me), is that much of the Smiths sound is identified by Morrissey’s unique singing voice…Moz could sneeze and you’d probably be able to guess that it was him. This meant that I was going to have to pull many different sonic elements together and hope that the Smiths vibe was present. “The Queen Is Dead” is a very diverse album sonically. The thread of Morrissey’s voice is what mainly creates consistency. Thank goodness that there is also consistency in the playing style and textures conjured up by guitarist Johnny Marr. We did our best to replicate some of the recording techniques that engineer Stephen Street used on the album to record the drums and bass, but most of our efforts were spent pulling different ele ments from Johnny’s playing and instrumentation. We used a 12 string Rickenbacker 330 electric guitar to achieve a sound like you might hear on the song “Cemetery Gates”, a Nashville strung acoustic (“There Is A Light”) and a telecaster (’72 custom) with some Roland chorus. Because Johnny toured mainly with a 6 string Rickenbacker after the album was made most people assume that he played one all over the album but the truth is that he mainly played a Fender Telecaster and Gibson Les Paul…most often into a Fender Twin Reverb amplifier with a Roland (Boss CE-1) chorus/ vibrato effect pedal. That particular pedal’s circuit can also be found in the Roland JC-120 amplifier, which Johnny has used on recordings as well as live (sometimes in conjunction with the Twin amp). A couple of weeks prior to our recording, Aaron and I went on Anngelle Wood’s radio show (Boston Emissions 100.7 WZLX) and we let the word out that we were going to tackle The Smiths. We received more than a few messages from people asking us to try and recreate the tremolo guitar sound from “How Soon Is Now”. 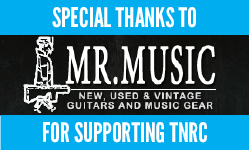 Legend has it that the sound was achieved by re-amping a guitar into four different Fender Twin Reverb amps with the tremolo on each amp pulsing in time with each other…and also in time with the track. We managed to round up four Twin amps, and we set em up at the end of the night all facing each other and gave it a shot. We were however, unsuccessful as the amps were in such varied conditions that we were unable to synchronize the tremolos. I’d love to try this again sometime. Other notable sounds are the backup vocals which are modeled after the ones on “Big Mouth Strikes Again”. The Smiths credit “Ann Coates” for singing, actually it’s Morrissey’s voice pitch shifted up with a device like an Eventide Ultra-Harmonizer or AMS 1580…hilarious! A couple of of other things we recorded were Emulator keyboard strings (“There Is A Light”) and Wah-Wah pedal guitar feedback. The drums were recorded with no cymbal hits on the first pass. We then went back and overdubbed the cymbals. This allowed us to move a room mic farther away from the kit and compress it heavily without adversely affecting the fidelity of the cymbals. This technique was used by engineer Stephen Street to record the drums on the title track of “The Queen Is Dead”. Stephen also mixed in a tom-tom loop, which we simulated by making our drummer play it live (ha). Bass guitar was recorded as a direct signal only (no amp) with a Neotek mic pre, a Tube-Tech compressor at 4:1 ratio (fast attack, slow release) and EQ boosts at 2.8khz and 100hz. 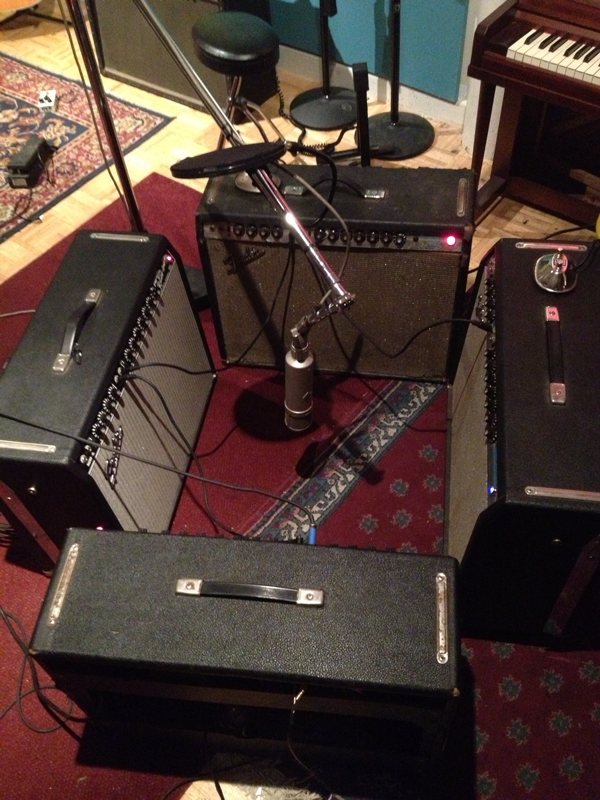 Guitar amps (Twin and JC120) were recorded utilizing the technique that Stephen Street referred to as “cheap mic – good mic”, where a Shure SM-57 was paired with either a U87 or U47. We mixed the signals with different ratios from sound to sound. Drums were recorded with AKG D112 on Kick (Smiths used a D12 predecessor), Shure SM-57 on snare top and bottom (Ludwig Acrolite), Senheisser MD-421s on toms and AKG C-414s on overheads (Smiths used U87’s ). Our distant room mic was a Neumann U47 compressed through a Spectra-Sonics 610 Complimiter. The “How Soon Is Now” type slide sound was created in two separate recording passes through an Eventide H3000 to make the harmonies and then flipped over backwards and sent through digital reverb (Lexicon PCM70). 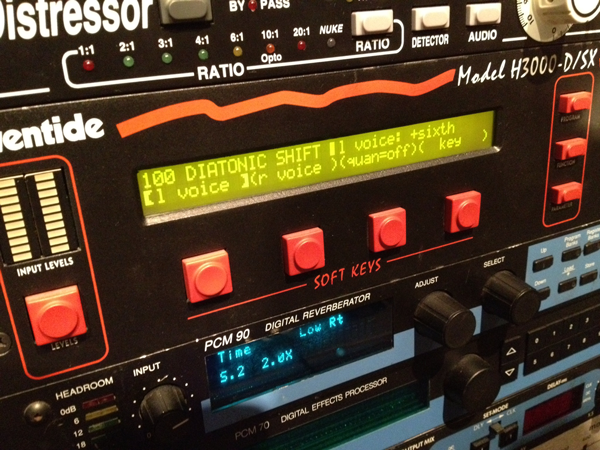 Flipped back to forward you can hear the reverb (in reverse) preemptive to the guitar…a great old studio trick! Enjoy the music video by Will Claflin a.k.a. Sachrulicious and feel free to download the audio file from our Soundcloud link below.